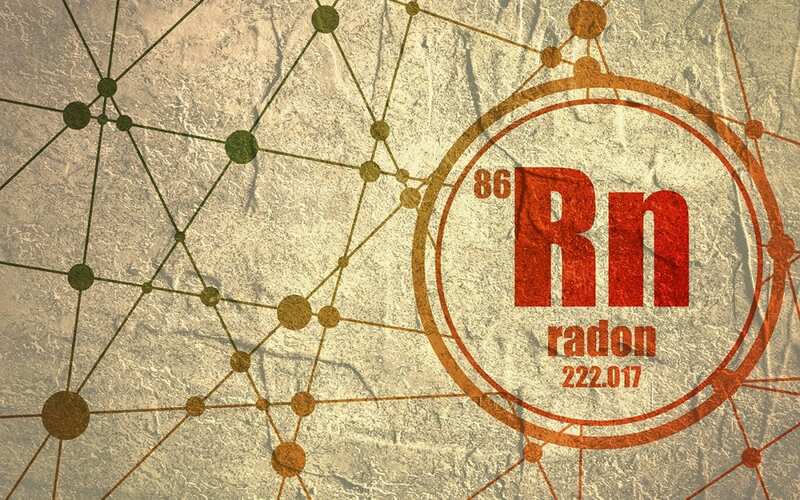 Radon is an element that naturally occurs in nature, but that doesn’t mean it is harmless. Radon is rated the number one cause of lung cancer for those who do not smoke cigarettes. For those who do smoke, radon exposure can drastically increase the chances of developing lung cancer. Since lung cancer is one of the most lethal types of cancer out there, exposure to radon can be understandably scary. It’s even scarier knowing that dangerous radon levels are often found in people’s homes. Here are some facts surrounding radon and why you should test for radon levels in your own home. Radon forms when the element uranium breaks down. Because uranium can be found in water, rocks, and soil, radon can be emitted from anywhere on earth. It typically enters the home from underneath, therefore the highest levels are usually found in the basement. Most commonly, radon enters the home through cracks in the floor and walls, gaps in the flooring, warm air that rises indoors, and spaces around pipes that enter the foundation. Although radon levels can be found in virtually anyone’s home, scientists have noticed that homes in the Midwest, Northeast, southern Appalachian, and the Northern Plains have the most affected areas. As such, it is crucial to test for radon to see if your home is one of those affected. Because radon is found naturally, everyone is exposed to trace amounts of it whenever they go outside. However, because the radon is so dispersed, it doesn’t normally harm the body. However, if radon seeps into your home, it can become concentrated, and this high concentration is unhealthy. If you want to test for radon in your home, you should keep in mind that the basement is going to be the area with the highest concentration since that is where most of the leaking into the home starts. However, for those who have a finished basement and spend a decent amount of time there, you’ll definitely want to test for radon. You should also keep in mind that the air disperses radon, so you may find that the levels of radon are lower upstairs than in the basement. Depending on the test results, you may or may not have cause for concern about the radon concentration in your home. If, after testing, you find high levels of radon, you can have it removed. An experienced team can come in and install a radon mitigation system that will rid your basement and home of most, if not all, of the radon levels. Essentially, they can ensure that your home and family are safe from concentrated levels of radon. Considering the potentially lethal–and not to mention costly–side effects of radon exposure, it’s extremely important that you test for radon in your home. Lung cancer and its related diseases is a serious medical ailment that can result in death. For the most accurate radon test results, hire a professional home inspector to conduct a radon test in your home. Knowing the levels of radon in your home will give you peace of mind about the air your family breathes or will give you the knowledge you need to have your home mitigated for radon. Whether you are purchasing a home or already own a home that hasn’t been tested, there is no better time than now to test for radon. Appalachian Inspection Services provides radon testing for Western North Carolina. To schedule a radon test, or other home inspection services, contact us.